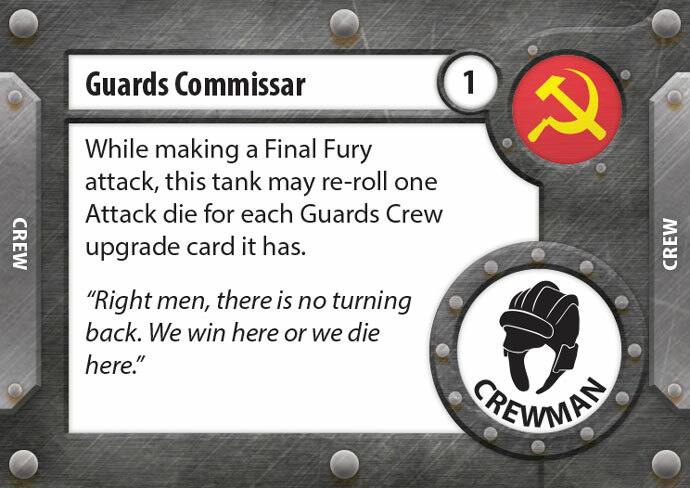 In the upcoming Soviet expansions there is an exciting new subset of Crew and Upgrade cards that focus on the Soviet Guards units. 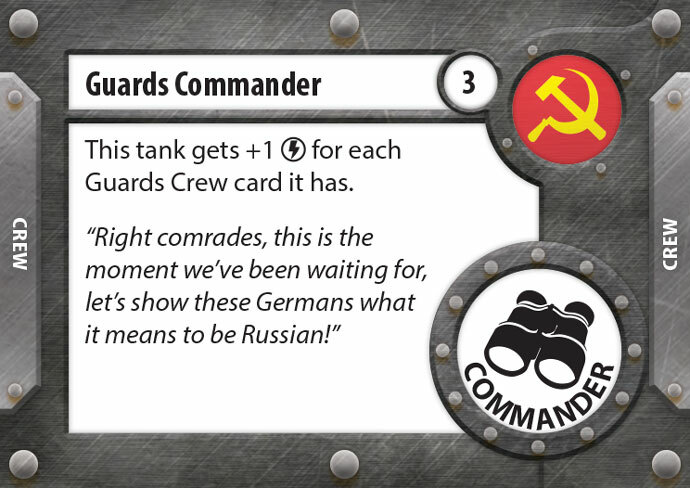 Guards are a group of elite Soviet tank crew that have the word “Guards” in their name. 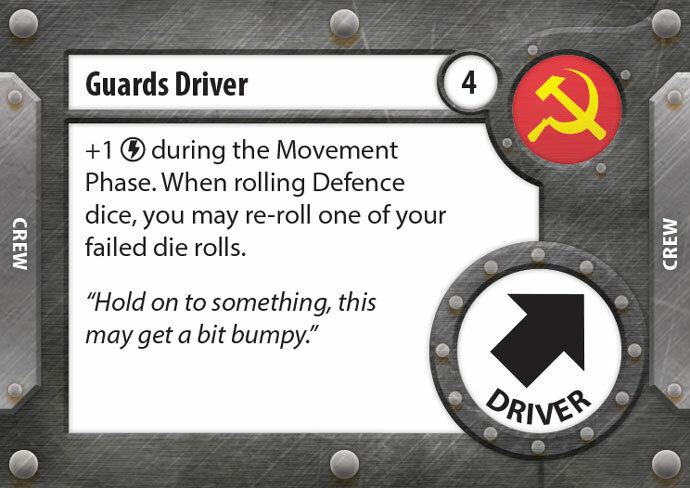 Guards Crew cards have great synergy with each other with some getting much better the more Guards you have on your tanks. 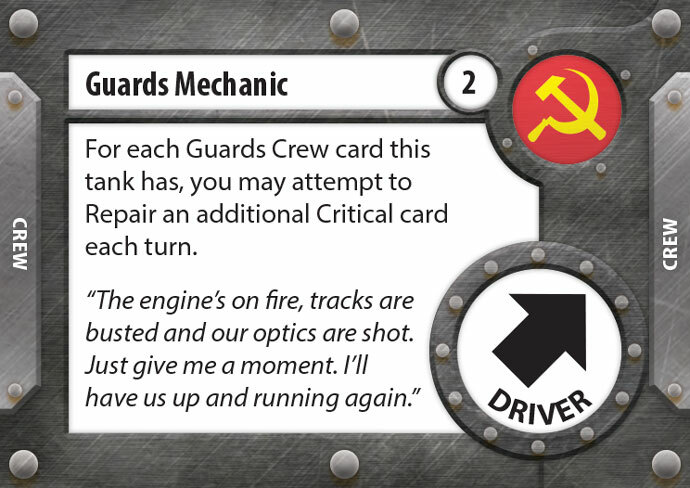 The Guards Commander Crew card gives its tank +1 Initiative for each Guard crew cards in its tank. Note this ability also counts him as a Guards Crew card, so even if he is the only Guard crewmember on your tank he will still give out his bonus. If you put him on a KV-1s with three other Guard cards he will give the tank a staggering +4 Initiative, giving you a total of 9 initiative! 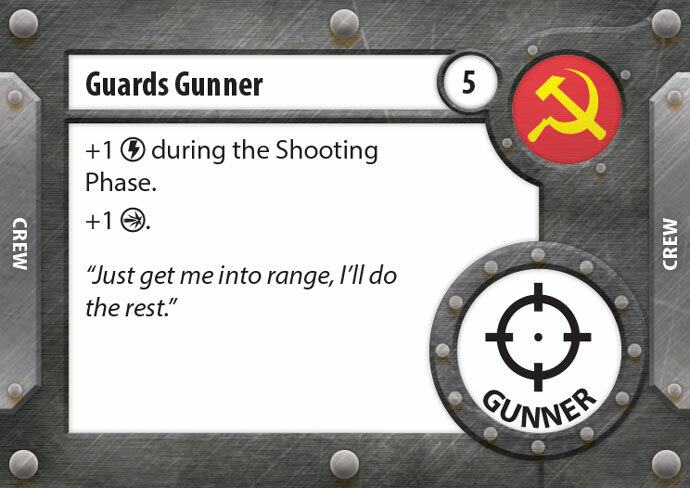 The Guards Driver, Gunner, and Loader do directly synergise like the Commander crew card but are solid options in their own right. 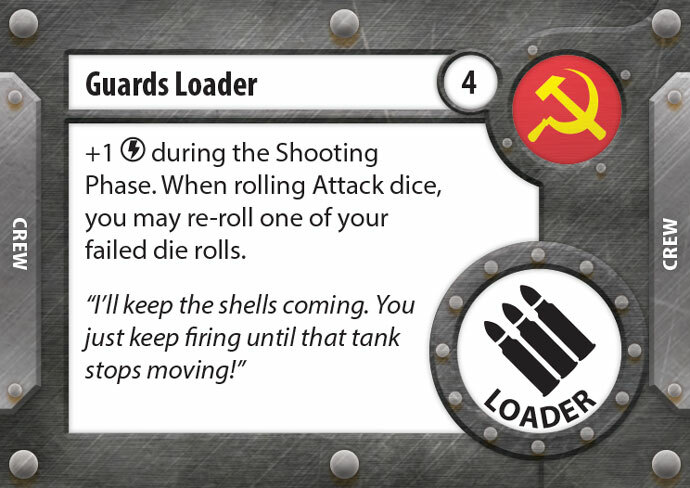 The Guards Commissar is an interesting card as it does nothing until the tank dies, giving it the ability to re-roll a die for each Guards crew card on your tank when conducting your Final Fury. Your opponents will have to be wary about killing a Guards tank before it has had a chance to shoot this turn. The Guards Mechanic specialises in keeping your tank going, the more Guards you have on his tank them more he can repair. 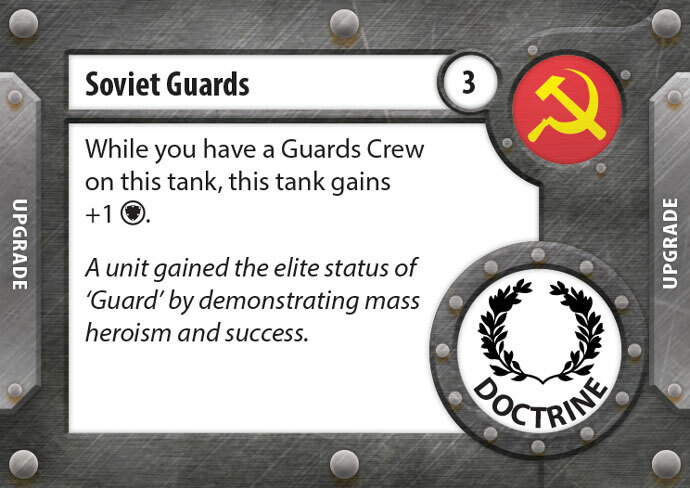 Once you have some Guards crew on your tank you may want to look at adding the Soviet Guards doctrine card. This is a great upgrade to a tank that already has a full set of crew. 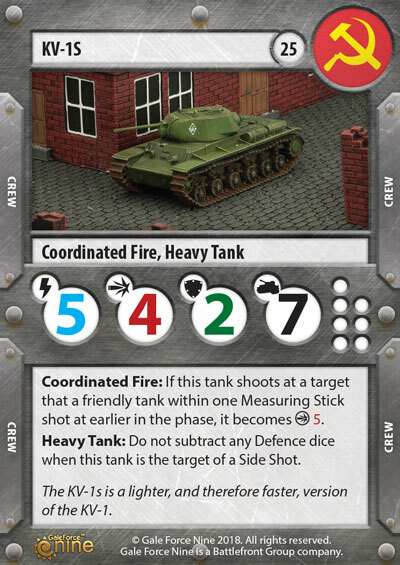 The extra Defence will keep your tank fighting a bit longer and help protect the amount of points you already invested into the tank. 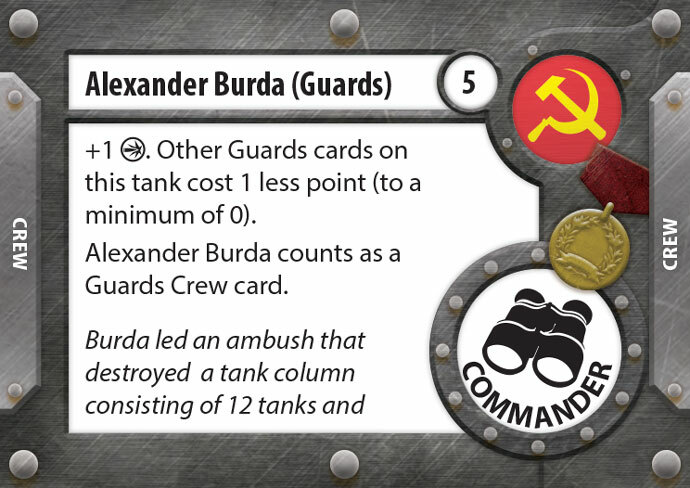 In the Churchill expansion you will find the Guards Hero, Alexander Buda (Guards), he reduces the cost of the other Guards cards you put on his tank, as well as giving his tank an extra point of Attack. Guard cards are not “Guards” until they are revealed. In order to gain a bonus on a Guards card on your tank you may want to flip over all your other Guards to maximise the benefits. To get Alexander Buda card’s point discount he must also start the game revealed and all the cards effects must also start the game revealed. 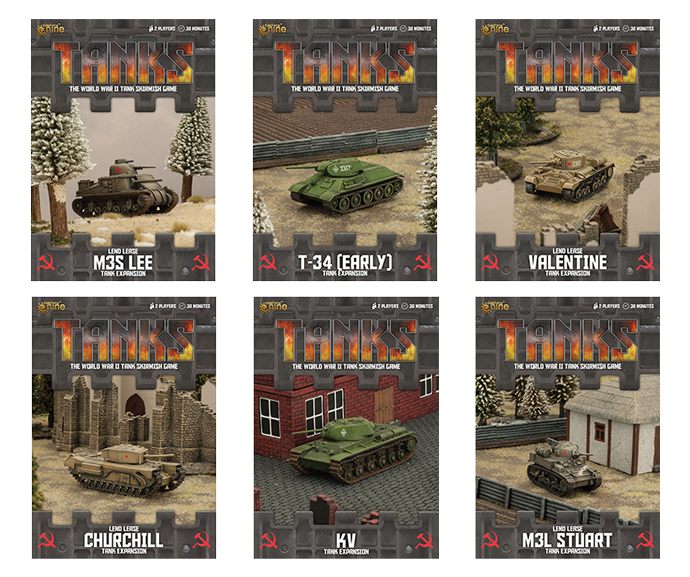 These new Soviet tanks, along with more will be in gaming stores soon!